Richard sends us a burst of bloom to combat all the white outside! 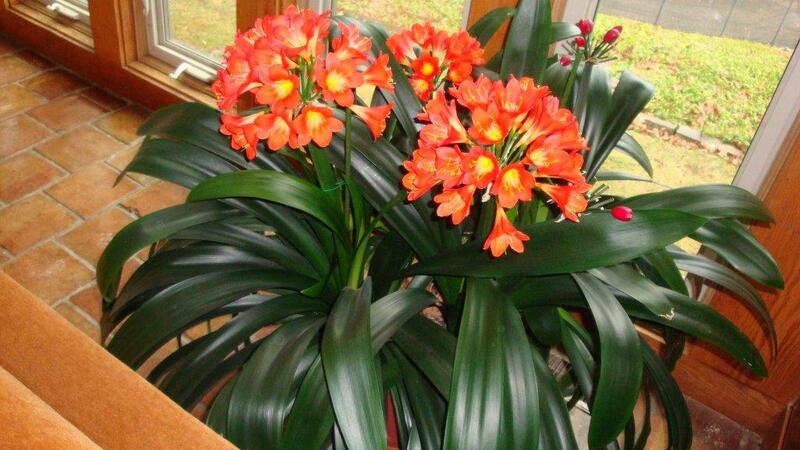 His clivia are absolutely breathtaking! In other exciting news, our own Greg Haggett took 3rd place in the 2016 Region 4 Photo Contest! Click the link to check out his photo of ‘Whip City Lisa Diana’ (Jones, L. 2011) and bug as well as the other winning pictures! Keep safe and warm, everyone!